If you can, try fit in some yoga sessions while you're pregnant. It's so good for the mind, body and soul... and yes that's cliche but it's also so true. 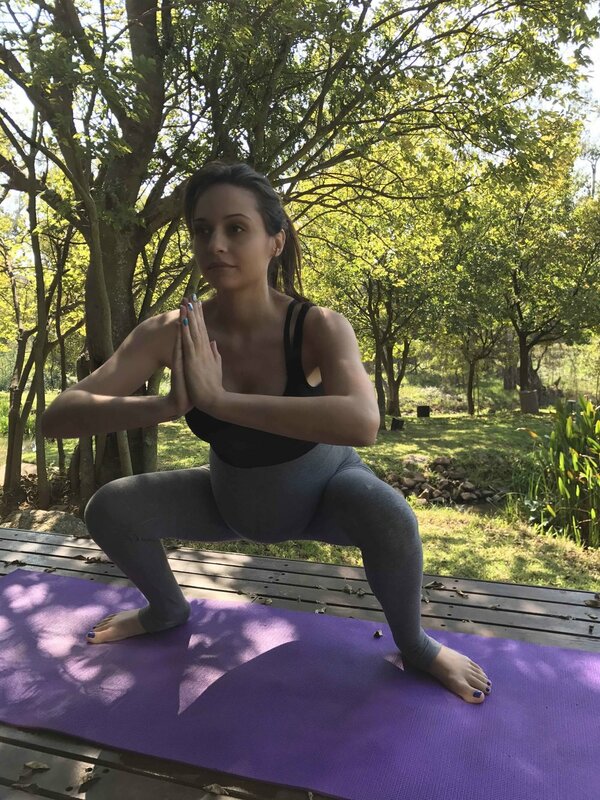 I've been getting back pain during my pregnancy and the yoga always helps so much, they say it's also very good preparation for the birth and of course helps you quiet your mind especially when your mind is constantly running through all the things you have to get done before baby arrives. I've been doing Yin Yoga during my pregnancy (not as often as I would like but as often as I can), a Chinese style of yoga that is slower paced and you stay in your poses for longer periods of time. The poses are quite organic, you listen to your body and the way it wants to move or fall but they are still quite intense and very meditative. I love Yin Yoga anyway but for pregnancy it's perfect. I am lucky enough to get to practice at the beautiful Woodlands Spa in Muldersdrift. I can't really ask for a much better or more relaxing setting to practice at and of course my instructor, Charlotte Davies, who is the most incredible yoga instructor I've met to date and an even more spectacular person. She is also the owner of Chi Yoga.